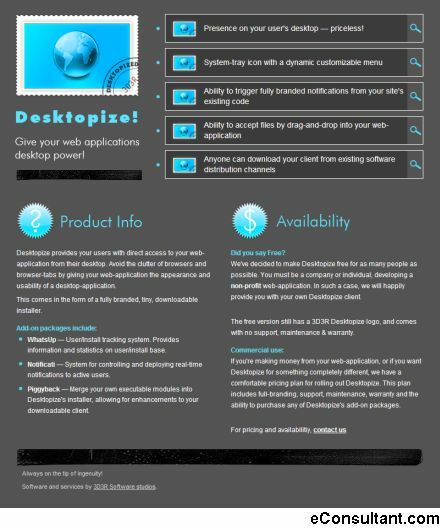 Description : Desktopize lets users access your web-application straight from their desktop. Avoid the clutter of browsers and browser-tabs by giving your web-application the appearance and usability of a desktop-application. This comes in the form of a fully branded, tiny, downloadable installer.